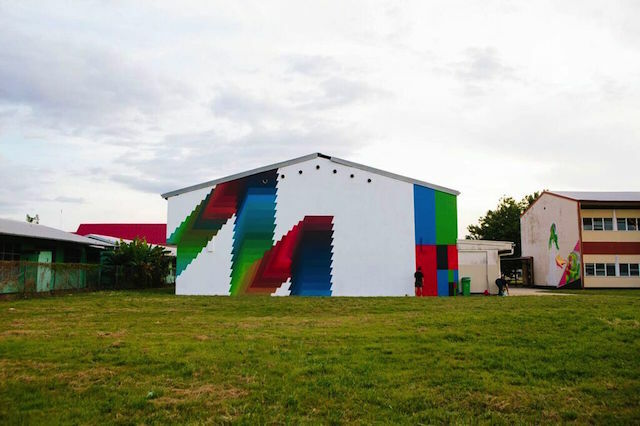 On the walls of Suriname’s coastal capital, geometric murals by the Spanish artist Felipe Pantone dance under British multimedia artist Rebecca Smith’s live projections. 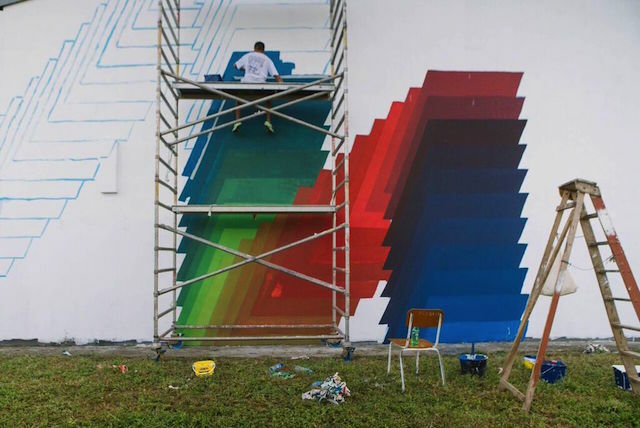 The project marks the latest episode of Smith’s ongoing project and collective, Stylus, and took place as part of Switi Rauw festival—Paramaribo’s celebration of street art. The three-day collaboration is documented by Selina Miles in her film Fluorescencia. Interspersed with music and commentary, the film follows the artists as by day, Pantone paints, working with whatever materials and colors he has available to him, and Smith designs and programs on her overheating MacBook. 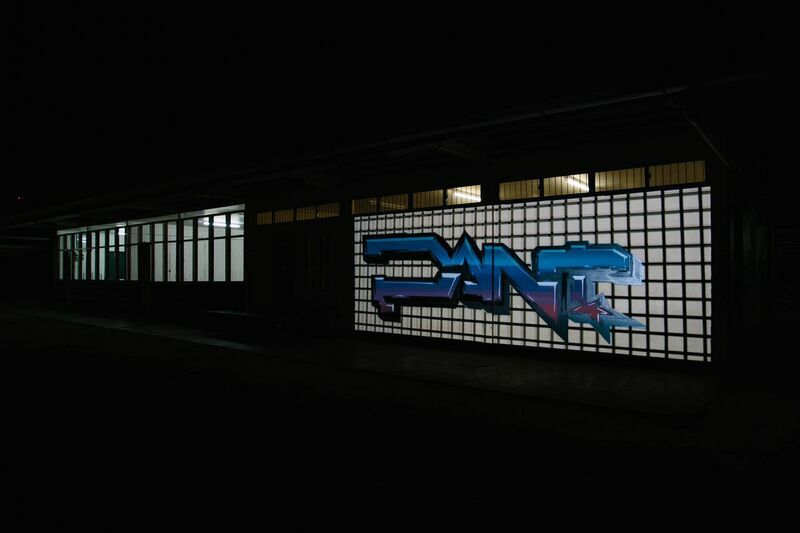 “The thing that works best is when you strip back all of the projection just to be simplistic light on an object,” notes Smith in the film, “because viewers are left to wonder which elements are the actual painted image.” Pantone, too, took notice of the efficacy of simplicity, creating basic forms that lend themselves to varied and complex projections. 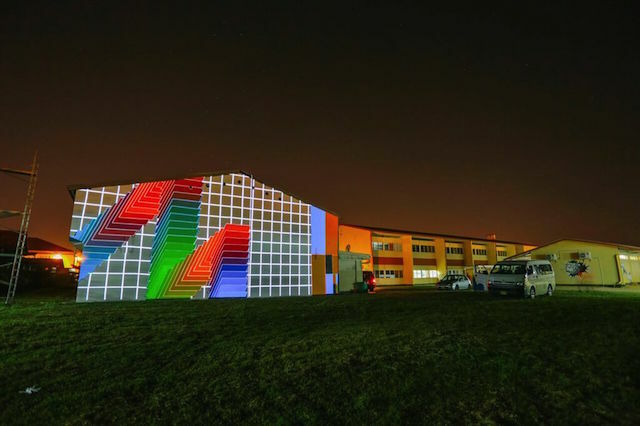 As night falls, the two come together, combining their individual endeavors into a live show of colorful optical illusions. Below, go behind the scenes of Fluorescencia. 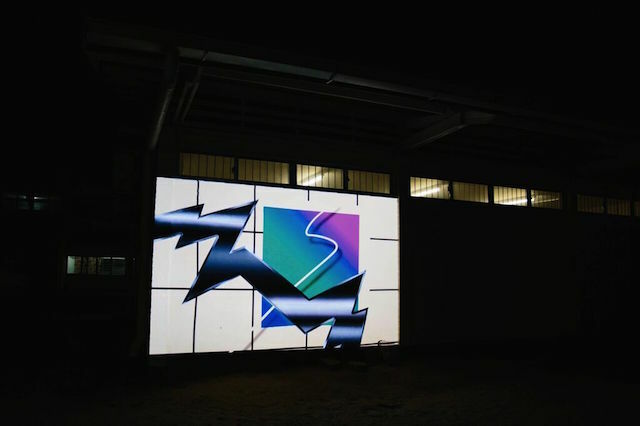 See more Stylus projection videos on their website. Find more of Rebecca Smith’s work here, Felipe Pantone’s here, and Selina Miles’s here.